The following content is original to this site, but was also posted in this thread on Reddit in /r/bloodborne. This article explore the manner in which the Great One Rom hides rituals, and the implications this has on the narrative. Rom, the Vacuous Spider is a Great One who is found at the bottom of the Moonside Lake. It is written in two separate notes that she “hides all manner of rituals”. Regarding her location at the bottom of the Moonside Lake, it is said in all of the “Lake” Caryll runes that “great volumes of water serve as a bulwark guarding sleep, and an augur of the eldritch truth”. This information can be interpreted to mean that Rom hides rituals pertaining to the eldritch truth. How she does this, and what implications this may have to the narrative of Bloodborne, are the focus of this article. It is my interpretation that “the Byrgenwerth spider hides all manner of rituals…” means that Rom actively hides from the Waking World elements which threaten to reveal the eldritch Truth of the Cosmos. This is in contrast to the interpretation that Rom has knowledge of rituals that she keeps secret. This idea is refuted in my mind by the fact that she is called “vacuous”, which means “having or showing a lack of thought or intelligence; mindless”. Although I will not pursue this idea here, I believe her “vacuous” title also shows that her actions are motivated by basic instinctual impulses instead of a scheme or more complicated motivation. "Hunt the Great Ones, Hunt the Great Ones." In order to transcend human nature, you must have the courage to do whatever it takes. There are three third cords that exist, and you can use them to beckon a Great One. Once you have acquired them, hunt down and slay the Great One in order to transcend. Even if Byrgenwerth hadn’t connected all the dots yet, they had the knowledge that would lead to transcendence, as evidenced by the narrative ending that reveals what doing all this would accomplish. If ever there was a ritual that would need hiding, it would be this one. In reaction to these discoveries, Rom removed the Lecture Building from the Waking World and cast it adrift in the Nightmare. However, we know that such pursuits did end in the Lecture Building of Byrgenwerth. A note in Yahar’gul states that “madmen toil surreptitiously in rituals to beckon the moon”. The School of Mensis is calling upon the Paleblood moon in order to have audience with the Great Ones, perhaps as a successor to the research that put the Lecture Building into the Nightmare. It is after defeating Rom that the paleblood moon is revealed, but it wasn’t summoned at that point. A note that can be found in Yahar’gul before defeating Rom says “Behold! A Paleblood sky!” The Paleblood moon has already been beckoned, but it has been hidden from the Waking World by Rom. Is this all Rom did to keep hidden the rituals conducted by the School of Mensis? This is speculative, but in the context of the Lecture Building being pulled fully into the Nightmare, I would suggest that Rom was not content just to hide the Paleblood moon. 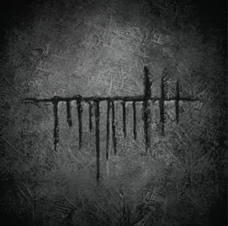 The Mensis Cage description says, “to an observer, the iron cage appears to be precisely what delivered them to their harrowing Nightmare”. Now, it could mean that the Mensis Cage used in conjunction with the Mergo’s Cord of the Eye was sufficient to pull Mensis into the Nightmare, but I would like to offer another interpretation. It can be gathered by the Augur of Ebrietas tool found in the Lecture Building that either Mensis or the Choir, the two groups to use this tool, accessed the Lecture Building after it was cast into the Nightmare. Using the Mensis Cage, it seems very possible that Mensis gained access to the Lecture Building, perhaps recovering some of the secrets that are held within. Taking their own work, and following up on the research that started in Byrgenwerth, they made themselves prime targets for Rom. When they used the Cord of the Eye to gain an audience with Mergo, perhaps it was Rom that delivered them to their harrowing Nightmare, in order to hide the rituals that The School of Mensis learned while wearing the Mensis Cage. I have explored my interpretation of how Rom “hides all manner of rituals”, but what does the note mean when it states that Rom also “keeps our lost master from us”? I have generally interpreted the “lost master” to be Master Willem due to a connection in their title as well as the fact that he is closely associated with Rom, and is functionally “lost” to the Waking World. This could be a misunderstanding by the author of the note, not realizing that Master Willem has transcended into the Cosmos. However, in light of what I have previously presented, it is also possible that Willem was also brought into the Nightmare by Rom to hide his knowledge of the eldritch Truth from the Waking World. This doesn’t necessarily mean that he did not transcend, just that he is being kept from returning to the Waking World. Furthermore, I don’t believe that he is alone. This is speculation regarding the upcoming DLC, but I believe that the Old Hunters were also trapped by Rom. The description of the Old Hunters DLC states that it will explore “the nightmare of the hunters who once guarded Byrgenwerth’s deepest, darkest secrets” and that they dwell in a place “where hunters from the past are trapped forever”. It seems very reasonable to interpret this to mean that the DLC will take place in the Nightmare where the Old Hunters are trapped because of the secrets discovered at Byrgenwerth that they guarded.. Following my interpretation of how Rom “hides all manner of rituals” by casting the Lecture Building and the School of Mensis into the Nightmare, it seems very plausible that the Great One might also be the one who has trapped the Old Hunters, including Master Willem to keep what they know hidden from the Waking World. Rom cast the Lecture Building and the School of Mensis into the Nightmare in order to hide their knowledge from the Waking World. The Great One may also have done the same to Master Willem and the Old Hunters. This interpretation explains why the Lecture Building is in the Nightmare. It also explains why Rom hides the Paleblood Moon, and perhaps even explains why Mensis was pulled wholly into the Nightmare. Finally, it provides an explanation for why Rom “keeps our lost master from us”, as well as possibly explaining why the Old Hunters, who guard Byrgenwerth’s secrets, are trapped forever in the Nightmare.